Forget gym memberships — these fitness events coming up in February are much more fun. Join the last of Boom Cycle's (the 'party on a bike specialists', apparently) heart-pumping spin classes in a courtyard in deepest Mayfair. Complete the high-intensity 45-minute workout, then reward yourself with a delicious two-course brunch from Hush. 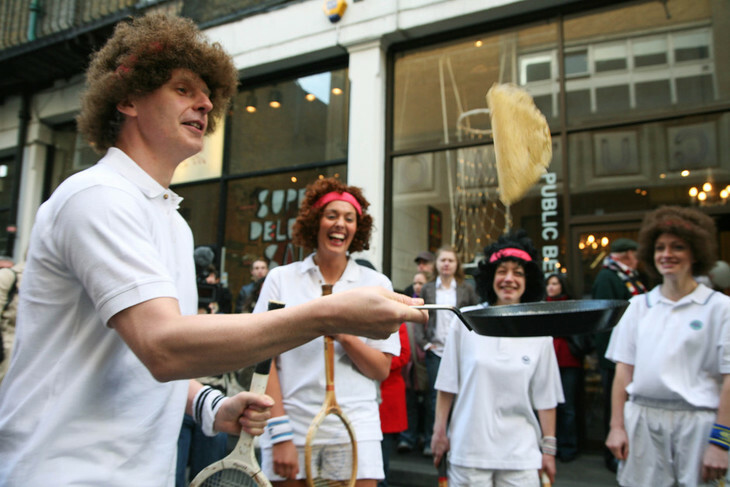 Join in some flippin' fantastic fun at the Old Truman Brewery, as the Great Spitalfields Pancake Race returns. Form a team of four and race up and down Dray Walk to raise funds for a great cause: London's Air Ambulance. 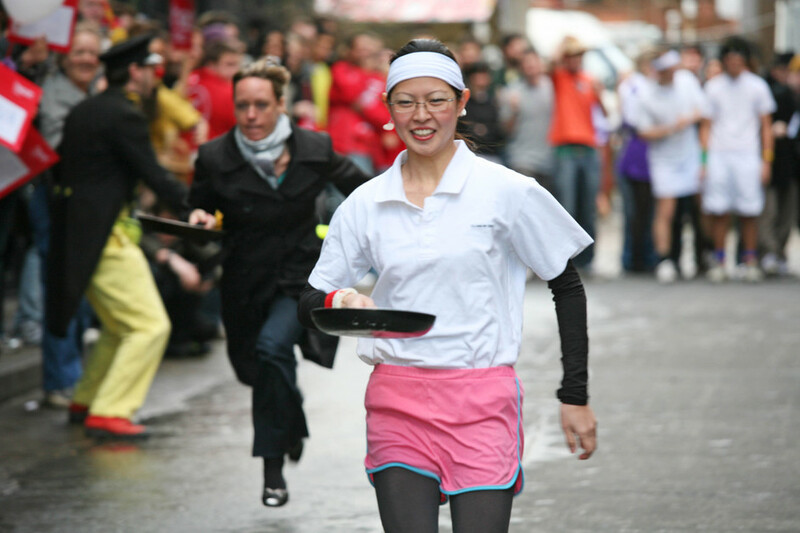 Only 25 teams of four can join in this pancake flipping relay around the Marlborough Sports Garden near London Bridge: so get your frying pans ready. All proceeds go to Paintings in Hospitals, a local charity that places fine art in clinical settings. Looking for your first fitness challenge of 2016? 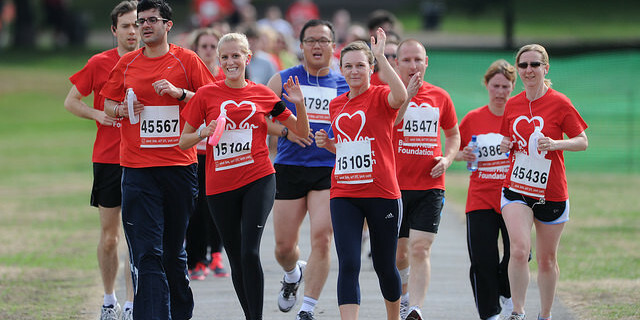 The British Heart Foundation's relaxed 5k or 10k around the Queen Elizabeth Olympic Park could be just the ticket. It's a multi-terrain course that's perfect for beginners, with inspiring backdrops around every turn. 13 Feb, Queen Elizabeth Olympic Park, E20 2ST. £13 adults, £8 teenagers, under 12s free. Free beer at the end of the race? The people at DeadDrop Fitness have got our attention. Choose from two distances in this Valentine's Day special: 5-8k or 10k, and prepare your team of 2-6 people for a race with a difference. Combining tasks like zombie chasing and tracking with selfie-taking and a little light assassination, the DeadDrop team promises a sarcastic take on the usual Valentine's Day fare, and fun way to test your fitness levels this February. Join this 60-mile sportive, starting from ExCeL with an urban ride north out of London and into Epping Forest before crossing the M25 and heading into the countryside. One 40-mile loop and a drink station later, you'll head back into London to finish at ExCeL where you can browse the London Bike Show and ogle lots of shiny new bike stuff that you really do need. 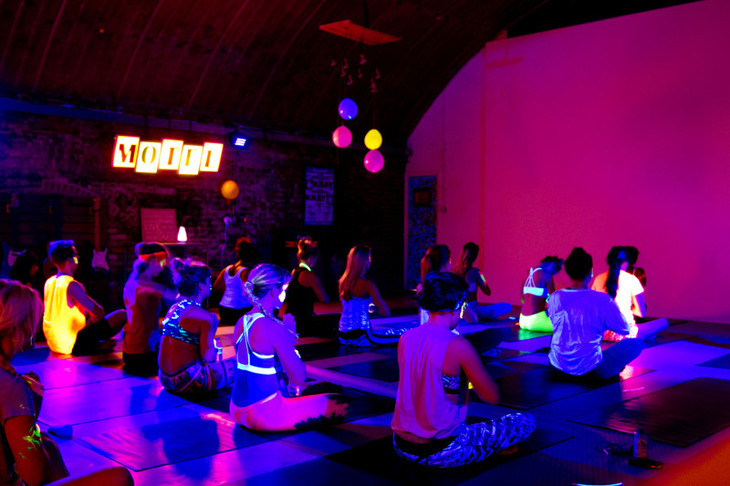 Enjoy a blacklit vinyasa yoga class in the dark this February. Wear your whitest and brightest gear to glow and flow in the dark. There'll be glow sticks and glow-in-the-dark body paint to add to the overall effect. Ohm. It's an oldie but a goodie: The Old Deer Park Richmond Half is a well-established race in London's running calendar. Scenic, very flat, with gorgeous river views, and perfect for a personal best. Organisers of Dash for the Splash promise you'll be smiling all afternoon after this muddy multi-terrain 10k race on Wimbledon Common. Look out for the water! 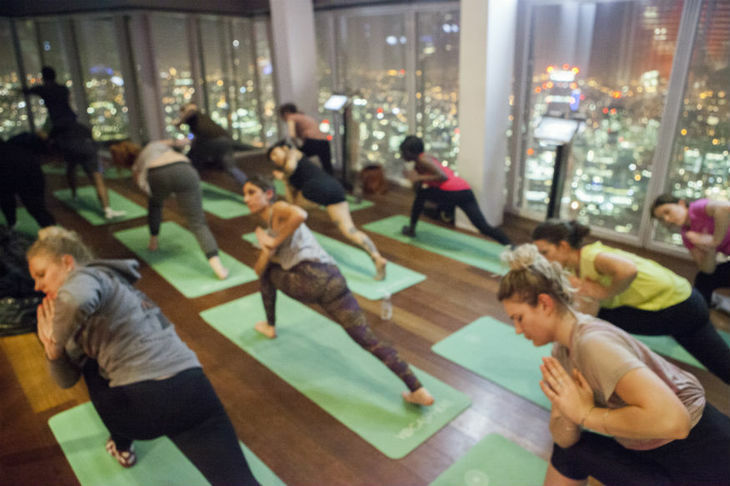 Enjoy a one-hour slow flow meditative yoga class at the top of the Shard on 2016's leap day. With dimmed lighting inside, the vibrant city lights and London skyline provide a gorgeous backdrop to this Monday night practise. Plus Yogasphere plant 10 trees per person every time you do a yoga class with them.